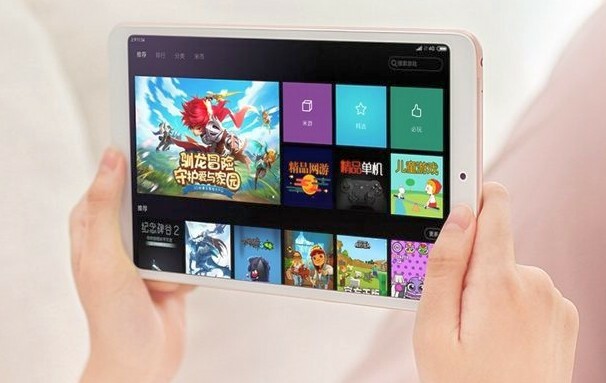 The international version of the 8-inch Xiaomi Mi Pad 4 tablet with 4 GB of memory and 64 GB internal storage can be acquired for less than US$240 via GearBest by those in a hurry. Those who can live without LTE and with lower specs should be able to grab the 3 GB RAM/32 GB storage WiFi version for around US$170, but the price depends a lot on the retailer. Xiaomi fans all over the world can finally buy the Mi Pad 4, but this is not as easy as it looks. For now, GearBest has the WiFi-only international variant with 4 GB/64 GB RAM/storage on sale for a very good price (22 percent off, down to US$238.99), but most buyers will have to pay various import fees and the shipping charges on top of that. Speaking of other choices, the Xiaomi Mi Pad 4 is also available in a 3 GB/32 GB RAM/storage configuration that was supposed to cost around US$170. Unfortunately, this version of Xiaomi's new slate is currently listed on GearBest with a price tag of US$229.99. The 4G LTE Xiaomi Mi Pad 4 with 4 GB/64 GB RAM/storage can be found on the same Chinese website mentioned above for as low as US$300. Sadly, this price does not include the shipping and import charges that the buyer could be facing and — depending on the location — these can sometimes add US$100 more to the aforementioned price. If you missed the introduction of the Xiaomi Mi Pad 4 which took place at the end of June, we should mention the following highlights: Qualcomm Snapdragon 660 processor, 8-inch display with 1,920 x 1,200 pixels, 5 MP front camera, 13 MP main camera, 3.5 mm audio jack, USB Type-C, 6,000 mAh battery that promises to provide up to 15 hours of autonomy when browsing the internet and 8 hours when gaming. Does the Xiaomi Mi Pad 4 look tempting enough to buy it directly from China or are you going to wait until it becomes available in your country? Maybe you even think that Android tablets should go extinct? Don't be shy and share your thoughts with us in the comments section.